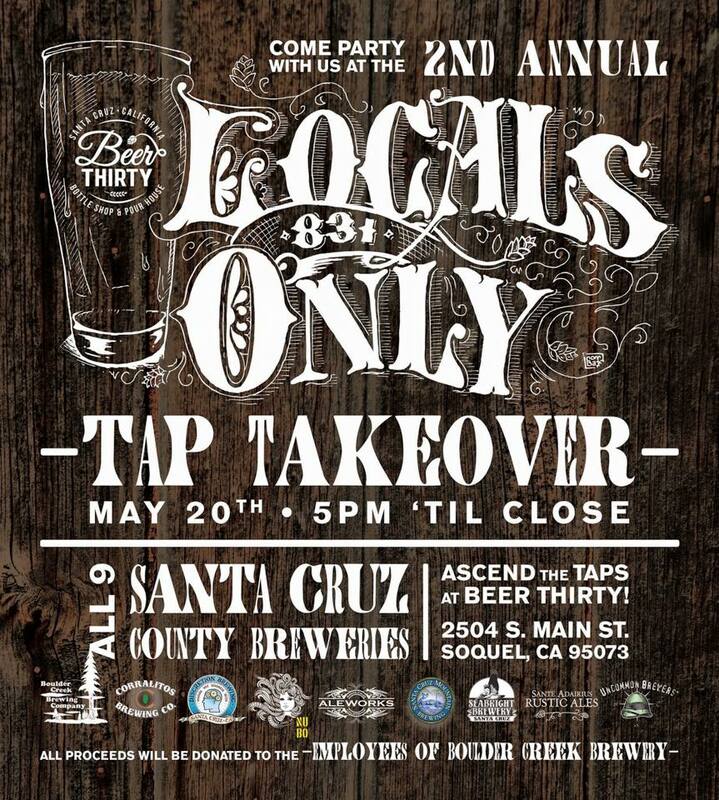 The 2nd annual Locals Only Tap Takeover is Wednesday, May 20, 2015, at Beer Thirty in Soquel. 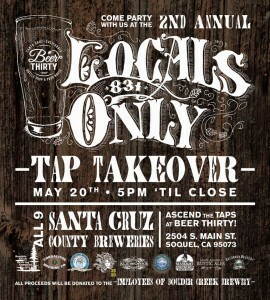 This event features 30 local brews on draft from all nine Santa Cruz County breweries—see full list below. All proceeds will be donated to the employees of Boulder Creek Brewery and Cafe. As you may recall, a fire at the popular brewery/café destroyed the venue in March. The Tap Takeover is from 5pm until closing. Free Agents will perform live music from 7-10pm. Call Beer Thirty at 831-477-9967 for more information. 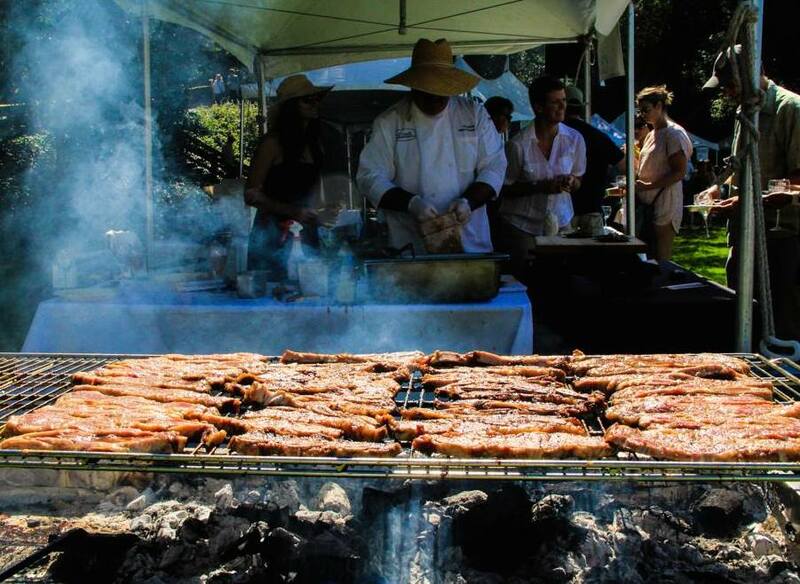 The 9th annual “A Taste of Santa Cruz,” at the Cocoanut Grove on Thursday, Nov. 14, features 30 participating restaurants, wineries, and breweries. The event runs from 5:30-9 p.m. and benefits first-time home buyers. Tickets are $40 in advance or $50 at the door. Buy tickets online. Attendees sample food and drinks from 30 restaurants, food vendors, breweries and wineries. Proceeds from the event benefit the Santa Cruz Association of REALTORS Housing Foundation grant program that provides closing costs for first time, low-income home-buyers in Santa Cruz County. 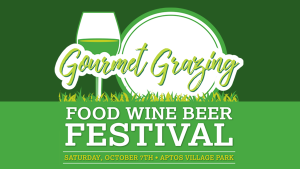 Participating food providers include Aquarius, Cowboy Diner, Johnny’s Harborside, Michael’s on Main, Barbara & Company Catering, Süda, Main Street Garden & Café, and Zameen Mediterranean Cuisine. Wineries and breweries include Trout Gulch Vineyards, Joyce Vineyards, Seabright Brewery, and Uncommon Brewers. Other highlights at the event: live music from West Coast Soul and Depot Dogs, an appearance by the Derby Girls, and a silent auction with over 100 items. Items up for bid include jewelry, crafts, and vacation lodging in New Orleans. There will also be a raffle; the prize valued at $1,300 is a three-night stay at an artisan home in Lake Tahoe. Several hundred people attend this event each year; purchasing your tickets in advance is recommended. 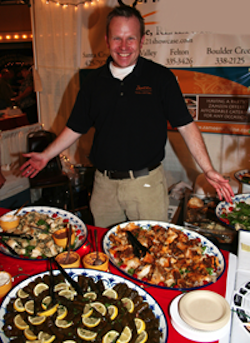 If you’re on Twitter follow me @santacruzfoodie.